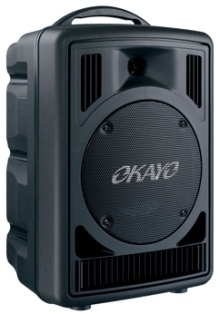 Rich, full sound and tons of power, the OKAYO Wireless Portable Sound System GPA-750WU is ideally suitable for large areas and crew addressing. 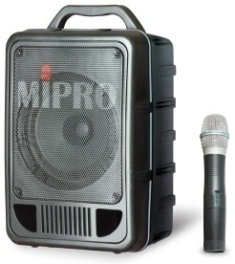 Besides, wireless, music, amplifier and speaker are conveniently combined into one box. 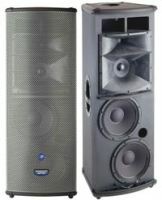 The GPA-750WU is perfect for indoor or outdoor settings and playback of music during activities. For those of you who's looking for brightness and resolution, the BenQ SP890 would make an ideal choice! 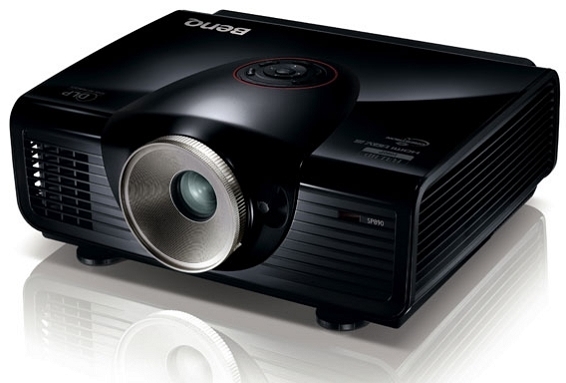 This Full HD projector offers the highest standard presentation for your business meetings with 4000 ANSI lumen high brightness and 50000:1 high contrast ratio. With the BenQ SP890, things are certainly lookin' great! Designed for low maintenance and peace of mind in high use and high traffic environments - coupled with reliability and security, the all new EB-G5200W is the ideal projector for the education, hospitality and professional sectors. 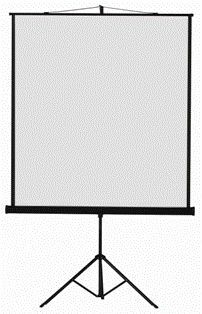 This portable projection screen has a flexible operation and comes with integrated carry handle, so is perfect for those presentations on the go. 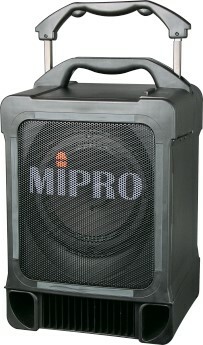 Featuring an integrated aluminium carry case, a support frame operated by gas struts, this screen can be adjusted to any height as required. 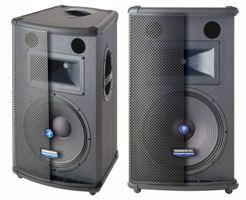 It is an easy to carry and store screen solution and should be your first selection for occasional home theatre or the presentation environment. Now in a feature-packed new Chrome Edition, Qu-16 reshapes digital mixing, combining innovative design and exceptional functionality to create a superb professional mixing experience. Bristling with all the features you’d expect from a top of the range digital console and incorporating technologies pioneered on the GLD and iLive digital mixing systems, Qu-16 has the power and pedigree to deliver class-leading audio performance. Hot new features include Automatic Mic Mixing and Spectrogram for feedback-hunting, plus upgraded, high contrast metallic finish controls. Whether you’re switching from analogue or updating your digital desk, it’s time to experience the new digital with Qu-16. 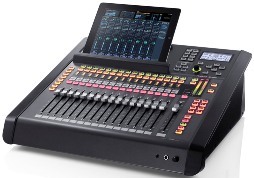 RSS by Roland is continuing to evolve digital audio and live audio mixing. 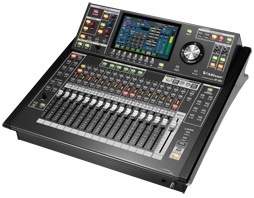 The V-Mixing System is fully digital using Roland's REAC (Roland Ethernet Audio Communication) technology to transfer audio from the high quality mic pre-amps on stage to the mixing console. 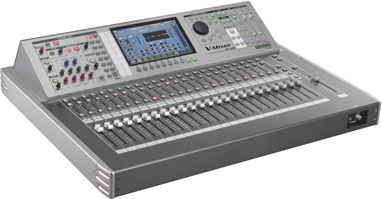 V-Mixing System is the next generation in live audio mixing technology. The M-300 V-Mixer expands the number of V-Mixing System applications with a compact, highly portable chassis usable in any type of situation. 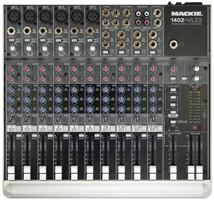 The M-300 builds on the core V-Mixer feature set to represent the highest levels of performance at a breakthrough price. 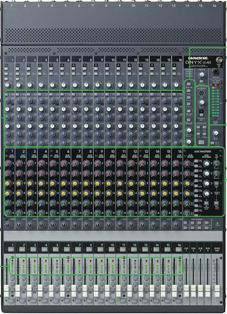 32 mixing channels, L/C/R outputs, 8 AUX buses, 4 Matrices. 4-band PEQ and dynamics on all channels. 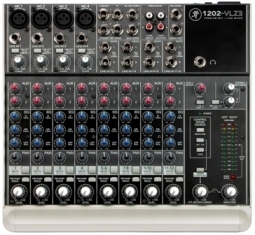 11 different built-in multi-effects/ PEQ and delay on all outputs. 24bit AD/DA for high-quality sound. Remotely controllable from a PC. Record to /playback from USB flash memory. Perfectly integrates with the Digital Snake for simple and high-quality audio transmission, distribution, splits and merging. 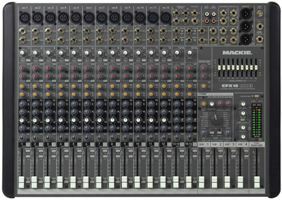 Construct a flexible and powerful system by adding the Personal Mixing System, multi-channel recording and other REAC components. 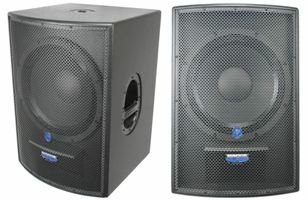 The S-1608 and S-0816 Digital Snake are compact versions of the popular S-4000 Digital Snake system. 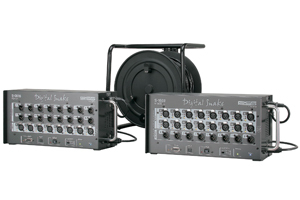 Easy to use and quick to install, the S-1608/0816 Digital Snake system is a small format audio snake solution that offers the highest quality audio signal available in a portable snake system.The S-1608/0816 Digital Snake system is ideal for bands, corporate A/V events, seminars, rental and staging houses, House of Worship and broadcasters that needs the best possible sound quality from their audio without the high frequency losses and bulk of analogue snakes. 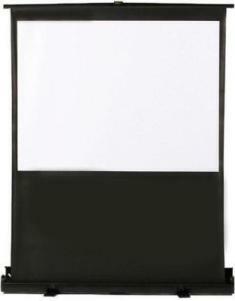 ACT-707S is a half-rack 1RU receiver in a compact metal casing. Reliable true diversity reception for maximum range with dual "Pilotone & NoiseLock" circuit prevents interferences. 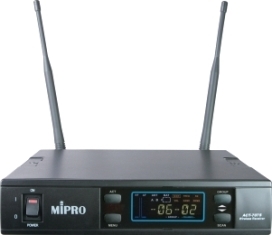 Innovative, easy-to-read color LCD displays RF/AF, diversity strength and transmitter battery level as well as Group, Channel, Frequency, Performer's Name, Squelch level, Mute On/Off and Address which can be set manually. Detachable switching power supply assures stable performance in the range of 90~264V AC power input and its ventilation design assures safe temperature and stable operation of the system 24-hours a day. We also provide a prompt and efficient 24-hour technical service department for any situation that may arise. Please contact us to arrange an obligation free quotation or consultation. Hoping to be of service to you in the future.